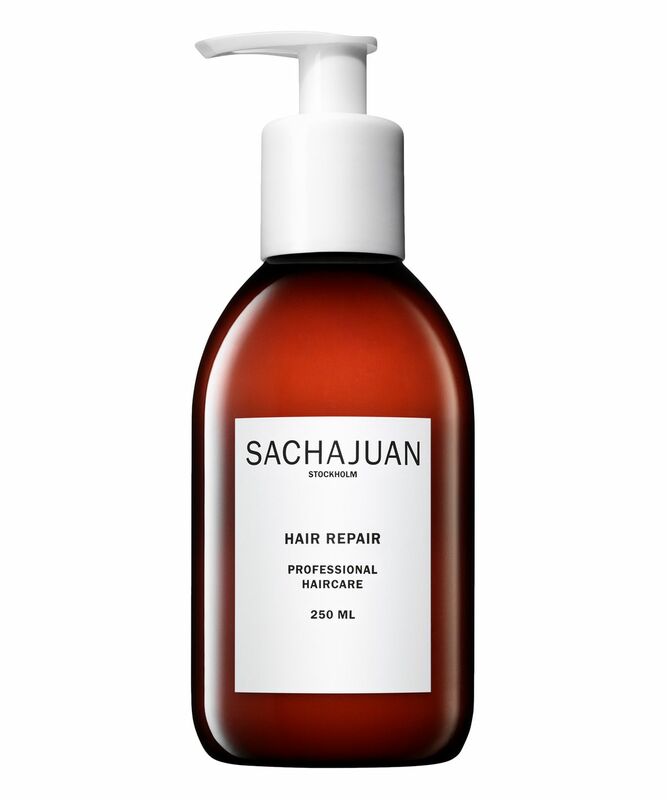 Hair Repair is your dream hair in a bottle. Used regularly, it helps restore shine to manes that are suffering the effects of too much styling and looking a bit frazzled. The unique combination of proteins and minerals penetrate the follicle, delivering intense hydration to heal split ends and banish frizzies for shiny, healthy looking hair. You'll see immediate improvement and will soon wonder how your hair survived so long without it. 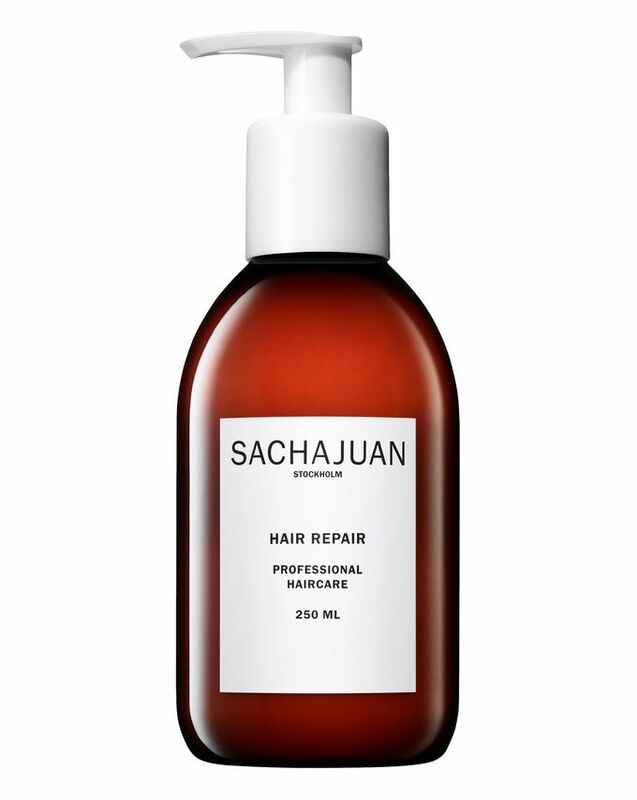 Lock out frizz with Hair Repair intensive conditioning treatment for dry, brittle and stressed tresses, featuring Sachajuan's famous 'broth' of proteins & mineral extracts from sea algae. It promotes cell regeneration in your scalp encouraging regrowth and nourishes the hair shaft to restore shine and vitality to locks that are looking a little lacklustre. It's also a brilliant frizz tamer and encourages unruly, rebellious hair to bend to your wishes for ease of styling and a glossy swoosh. Massage into washed hair and allow 5 - 10 minutes for the product to get to work (you may want to wrap your head in a towel). Rinse thoroughly and get set to swoosh. Disappointing. I've used this a few times and it's not made a difference to my hair. I've had better results from cheaper products. Also makes you smell like an old lady! This is a bit expensive but worth every penny. I have long blonde hair (dyed) and am on medication which makes my hair rubbish- so wasn’t expecting miracles from any treatment really! Having tried this for a week or so I didn’t even need a trim at my next hairdresser appointment. I bought the small size initially but then bought the larger as couldn’t contemplate not using it. It really made my poor, treated and struggling hair so much better. My hairdresser was amazed! This has literally been abandoned after only four uses. It's just not enough for treated hair. You get the same effect from any high-street conditioner. I don't want high-street conditioner hair. Its price is certainly very steep for what it delivers. Not recommended. I have bleached dry hair and I don’t recommend it for very dry - damaged hair. A really good product, I leave this on for 30 minutes or more and hair is soft, silky and when dried leaves a lovely shine and smell. My hair is not too damaged but definitely repairs dryness and helps with split ends. Lovely smell. Leaves hair soft. Ok, I decided to wait and use this product or rather the whole Sachajuan range before rating or adding my own review. I absolutely love it. Although I have always been one to care for my hair and use products that work with my hair, for my hair and by my hair (lol! Sound as though I am giving a political speech). After using the shampoo and before using the Sachajuan conditioner I apply this little miracle worker to my wet hair and leave on for 10 minutes (might I also add that it smells glorious!!!). My hair looks healthier, smells gorgeous and funny enough even my husband has noticed!!!! I have reordered and will keep using the Sachajuan range as it works for me. Psst, another way to use is also to leave on whilst you are in the seam room or in the sauna for deep conditioning and repair! Enjoy!!! Does exactly what it claims - leaves my hair super soft and smooth! I have coloured, wavy hair which has a LOT of flyaways - this really helps to tame it. Does what it says on the bottle - I find my bleached hair to be more manageable and shiny after using this. Very reasonable price as well. I really didn’t like it the first time I bought it. It made my hair very puffy. I don’t know what changed but now it makes my hair so sleek and healthy. It’s also very perfumed but I love it and it leaves the hair smelling amazing. I use it after my shampoo and hair mask, as a conditioner for about 3-4 minutes and it is enough for me. Try leaving it on for less than what the instructions say. Does what it says on the bottle. I usually use it right after shampooing and wash it off just before leaving and it does the job. I notice that my hair is less frizzy and looks more lively, especially if I let it air dry. It will last ages since it's such a big bottle and you are not supposed to use it every time you wash your hair. Although honestly the feeling after I use it made me want to throw my conditioner into the bin and use this every time after shampooing. It’s quite pricey, and I normally wouldn’t spend this much, but you don’t need to use a lot (even on long hair) and so it lasts a while! I leave it in for 10 minutes on washed hair and my hair always feels soft and shiny. However I don’t really like the smell. Nothing great about this product, my hair is slightly shinier and the smell is so strongly perfumed it gives me a headache. Wouldn't buy again. I use this after doing my normal shampoo and condition routine, wrap it up in a quick bun and rinse out after five minutes my hair feels really smooth afterwards. Usually, if I go a day without washing my hair it gets this worn out look but with this, I can get away with using just dry shampoo for at least two days. Absolutely amazing. Makes hair feel silky soft - like fresh cut from the hairdressers soft - and smells amazing! This treatment is beautiful, I have very curly, thin hair and have not exactly treated it the best with lots of bleaching and straightening. This formula leaves my hair feeling amazingly soft, nourished and non greasy. Just purchased my second bottle. The smell may be a little off-putting for some people but it does dissipate almost instantly after drying, personally, I find the smell to be quite nice. I would highly recommend this anyone with thin or dry hair! It really made my 3b curls more shiny and smooth and it overall felt so good. The only thing I would say was the weird smell. Other than that, I would totally repurchase this. Soft + shiny hair is possible! Got this in the spring beauty bag and the first time I used it it blew me away. My coloured hair, which is usually dry and dull, felt so soft and looked so shiny after I blew dry it, it was amazing! 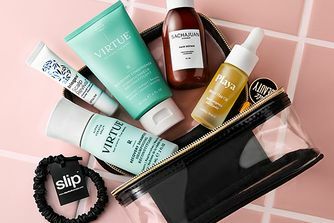 I've never had such instant and noticeable results with a wash-out treatment before; and I've tried brands like Moroccanoil, Phyto, Frederick Fekkai. Definitely repurchasing this one. I tend to not too excited with haircare products as a lot of them have failed to do what they promise. This is a must have, love everything about it: the smell, the texture, the fact that it does what it says in the bottle and the small amount you need to get great healthy-looking hair in 5 minutes. Will repurchase. I have long curly hair that has been damaged beyond repair by bleach. Most days I can't even get my fingers through it let alone a brush but this has changed that. Used it after shampooing, left on for about 15 minutes (also put a face mask on for the ultimate pamper experience) then washed off. My hair felt amazing instantly, didn't need to use much either. Followed with the leave in conditioner and it was a winning combination. This is the best treatment/conditioner I've ever used. I wouldn't have even thought I needed it, but initially got it as a sample and tried it: it leaves my hair so soft and smooth (but not weighed down) that now I'm never without it. I don't particularly like the smell (it's kind of aquatic and slightly masculine), but it works so well that I don't care.